Search engine optimization (SEO) is the art and science of publishing and marketing information that ranks well in search engines like Google, Yahoo! Search, and Microsoft Bing. If you run into any new jargon while reading this article, consider looking up their definitions using the Search Engine Marketing Glossary. By default, many search engines show only 10 results per page. Most searchers tend to click on the top few results. If you rank at the top of the Search Engine Results Page (SERP), business is good, but if you are on the second or third page you might only get 1% of the search traffic that the top ranked site gets. Do you have what it takes to compete in a market? The first step is to search the major search engines to see what types of websites are ranking for words which you deem to be important. For example, if mostly colleges, media, and government institutions are ranking for your most important terms it may be difficult to rank for those types of queries. If, on the other hand, the market is dominated by fairly average websites which are not strongly established brands, it may be a market worth pursuing. The blue area under this CreditCards.com listing shows a wide array of marketing information. What keywords are people searching for? Use the SEO Book Keyword research tool to search for popular and Long Tail keywords related to your industry. This tool cross references the Google Keyword Tool, Wordtracker, and other popular keyword research tools. Notice how our keyword tool provides daily search estimates and cross references other useful keyword research tools. Keyword research tools are better at providing a qualitative measure than a quantitative measure, so don't be surprised if actual traffic volumes vary greatly from the numbers suggested by these tools. When in doubt you can also set up a Google AdWords account to test the potential size of a market. In addition to looking up search volumes for what keywords you think are important, also take the time to ask past customers how they found you, why they chose you, and what issues were important to them in choosing you. How should you structure your site? You may want to use an Excel spreadsheet or some other program to help you visualize your site structure. This mini-screenshot from an Excel spreadsheet shows example data for how you might align keywords for a section of a site focused on home based businesses, start ups, and franchise opportunities. If you are uncertain how deep to make a portion of the site, start by creating a few high quality pages on the topic. Based on market feedback create more pages in the sections that are most valuable to your business. It is hard to rank for keywords that do not appear in your page content, so each page should be organized around the goal of ranking for a specific keyword phrase, with some related phrases and related keywords mixed into the page copy. Unique descriptive page titles play a crucial role in a successful search engine optimization campaigns. Page titles appear in the search results, and many people link to pages using the page title as their link anchor text. If possible create hand crafted meta description tags which complement the page title by reinforcing your offer. If the relevant keywords for a page have multiple formats it may make sense to help focus the meta description on versions you did not use in the page title. As far as page content goes, make sure you write for humans, and use heading tags to help break up the content into logical sections which will improve the scanability and help structure the document. When possible, make sure your page content uses descriptive modifiers as well. Each page also needs to be sufficiently unique from other pages on your site. Do not let search engines index printer friendly versions of your content, or other pages where content is duplicate or nearly duplicate. Search engines view links as votes, with some votes counting more than others. To get high quality links (that help your site rank better) you need to participate in the social aspects of your community and give away valuable unique content that people talk about and share with others. 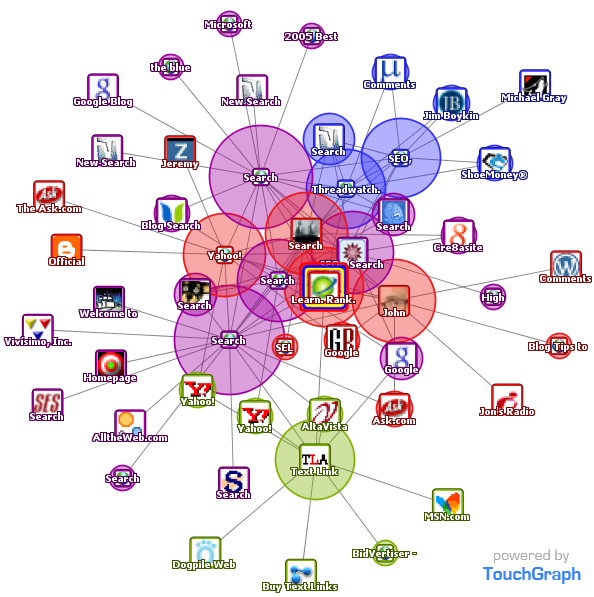 The below Google TouchGraph image shows a small graphic representation of sites in the search field that are related to SeoBook.com based on linking patterns. In this post Matt Cutts suggested that Google is getting better at understanding link quality. Search engines want to count quality editorial votes as links that help influence their relevancy algorithms. Brand related search queries tend to be some of the most targeted, best converting, and most valuable keywords. As you gain mindshare people will be more likely to search for your brand or keywords related to your brand. A high volume of brand -related search traffic may also be seen as a sign of quality by major search engines. If you build a strong brand when people search for more information about your brand, and other websites have good things to say about your brand, these interactions help to reinforce your brand image and improve your lead quality and conversion rates. Things like advertising and community activity are easy ways to help improve your brand exposure, but obviously branding is a lot more complicated than that. One of my favorite books about branding is Rob Frankel's The Revenge of Brand X. Link building is probably the single hardest and most time consuming part of an effective SEO campaign, largely because it requires influencing other people. But links are nothing but a remark or citation. 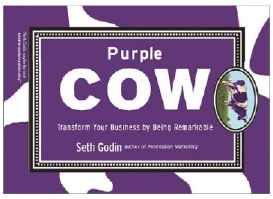 Seth Godin's Purple Cow is a great book about being remarkable. The beautiful thing about viral marketing is that creating one popular compelling idea can lead to thousands of free quality links. If your competitor is building one link at a time and you have thousands of people spreading your ideas for you for free then you are typically going to end up ranking better. You can search social news or social bookmarking sites like Digg or Del.icio.us to see what stories related to your topic became popular. Half the money I spend on advertising is wasted; the trouble is I don't know which half. 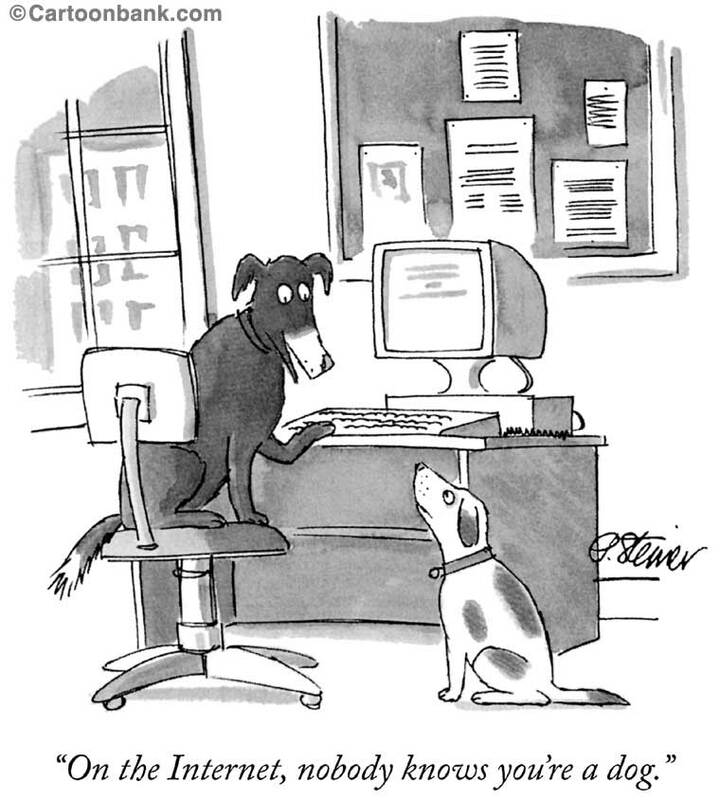 How can I tell if my SEO campaign is effective? The bottom line is what counts. Is your site generating more leads, higher quality leads, or more sales? What keywords are working? You can look at your server logs and an analytics program to track traffic trends and what keywords lead to conversion. Outside of traffic another good sign that you are on the right track is if you see more websites asking questions or talking about you. If you start picking up high quality unrequested links you might be near a Tipping Point to where your marketing starts to build on itself. How do you track the changes in the SEO market? In my SEO tools I also offer Google Gadgets that make it easy for you to embed keyword, competitive, and link research tools inside any webpage. 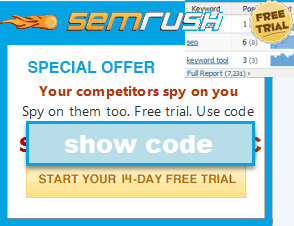 You can track your ranking changes using this free keyword rank checker. We also offer guides to blog SEO and charity SEO. And if you want an up to date training program, consider joining our SEO training program. Best of luck with your sites! Yes, please send me "7 Days to SEO Success" mini-course (a $57 value) for free.